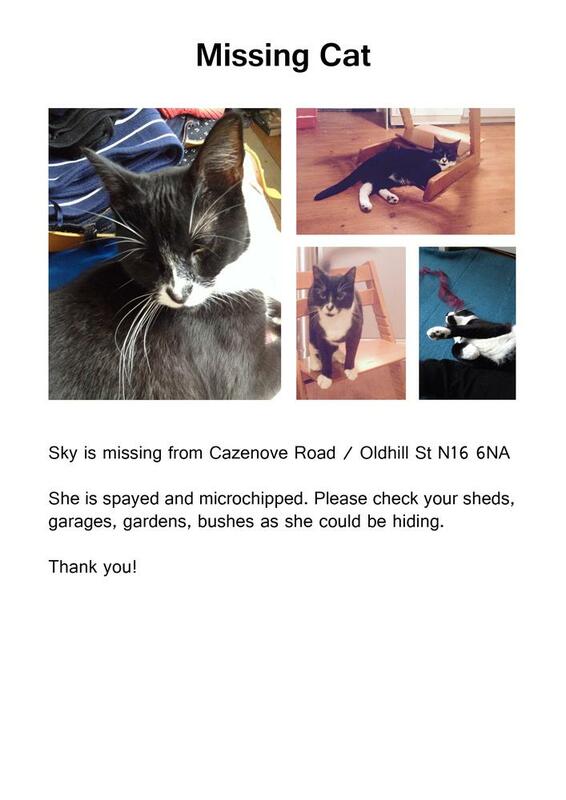 Sky is missing from Cazenove Road / Oldhill St / N16 6NA. She is spayed and microchipped. Please check your sheds, garages, gardens, bushes as she could be hiding.